In this review we will provide a comprehensive manual on how to display Instagram widget InstaShow on a Magento website. We will introduce Elfsight Apps a high quality cloud service with ready-made solutions for web resources. Go through just a few clear stages, to display the gallery on the required web page of your site. Installation will take approximately 2 minutes. First, to get access to our online service, you should register. 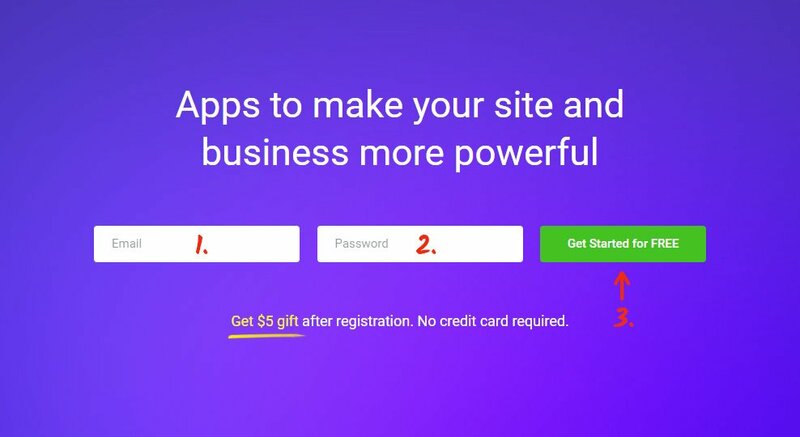 Enter only correct e-mail addresses and passwords to register. If you already have a personal account, please, enter here. Our web service includes different solutions for online businesses. 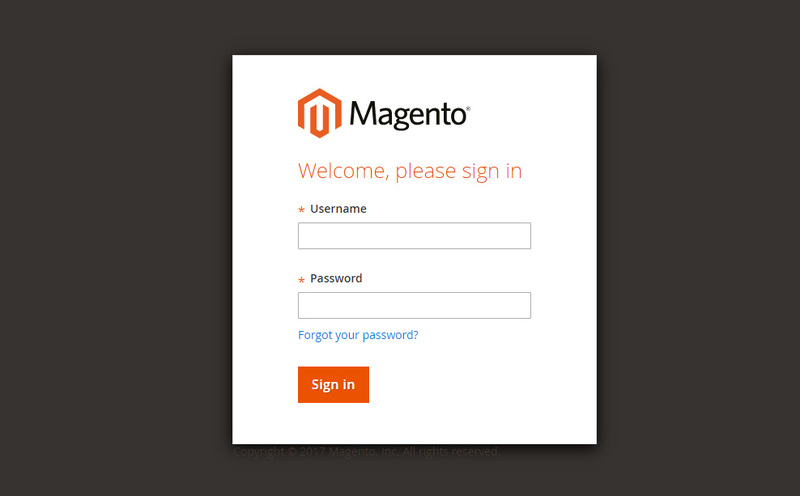 To display Instagram gallery on a Magento website, just click InstaShow. Decide on the gallery layout, styles and display settings to set up the widget that will play into your website. You can discover all the benefits at the Instagram plugin page. You can select the subscription in the appeared window. Subscription plans range from free to advanced. Check your site’s traffic volume, choose the most suitable option and click the “Select” link. Get the plugin code to place onto the pages of your website. 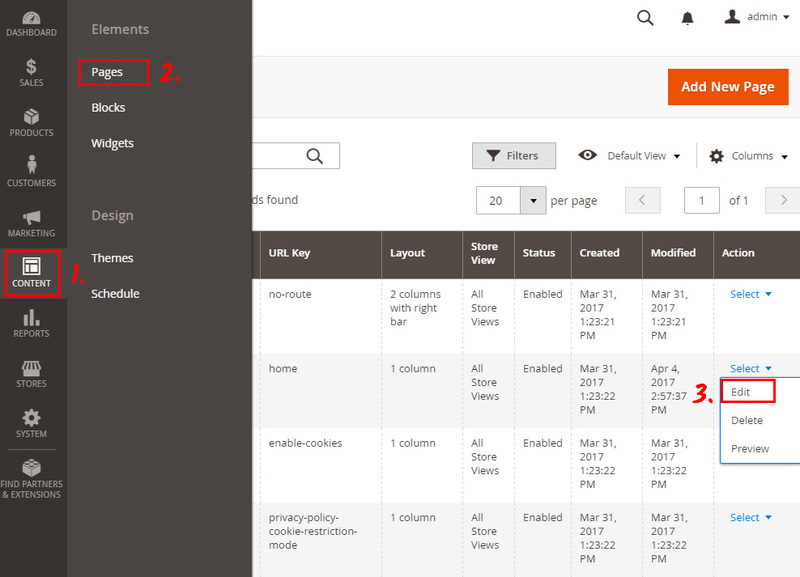 Select “Content tab from the left-hand menu and go to “Pages” section. Choose the page to place the plugin at. Go to “Content” tab and paste the widget code into the editor. Save the changes. • Done! The gallery has been successfully installed! Go to the webpage to check out the plugin. 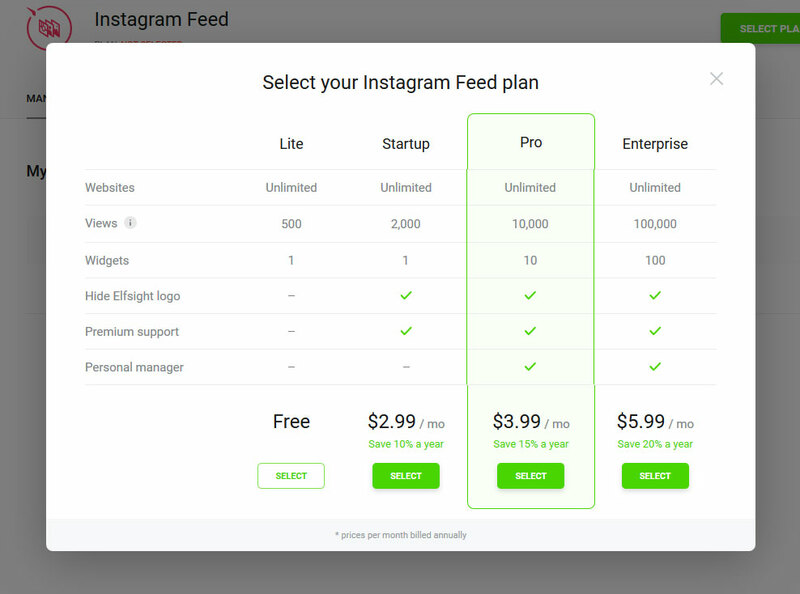 You are able to change the product’s settings or the shown Instagram account in your profile at Elfsight Apps. After you make the adjustments, they will be automatically carried out in your gallery. 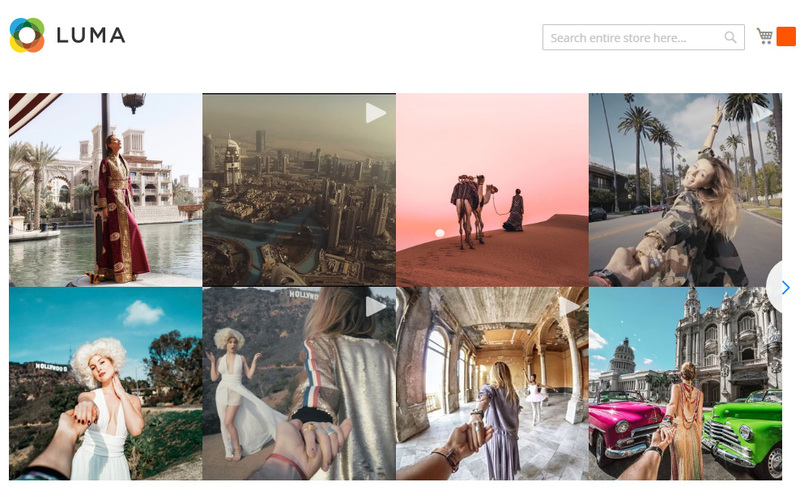 InstaShow is a powerful Instagram photo widget with multiple variants of installations, feed adjustment, fully flexible design and clean embedding. All this makes our solution the best one among its competitors. It is a service with cloud solutions that will help you advance your platform and make your enterprise more lucrative. It only takes two stages to install our solutions to any page. 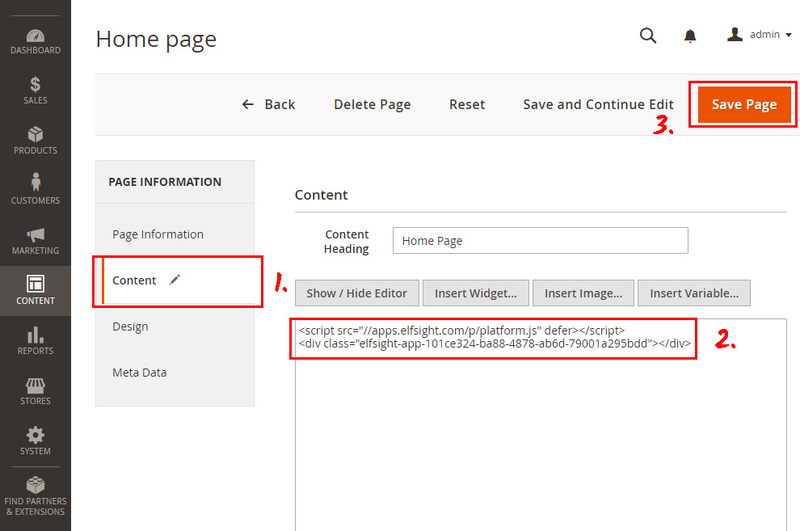 Make your page smarter with Elfsight Apps! 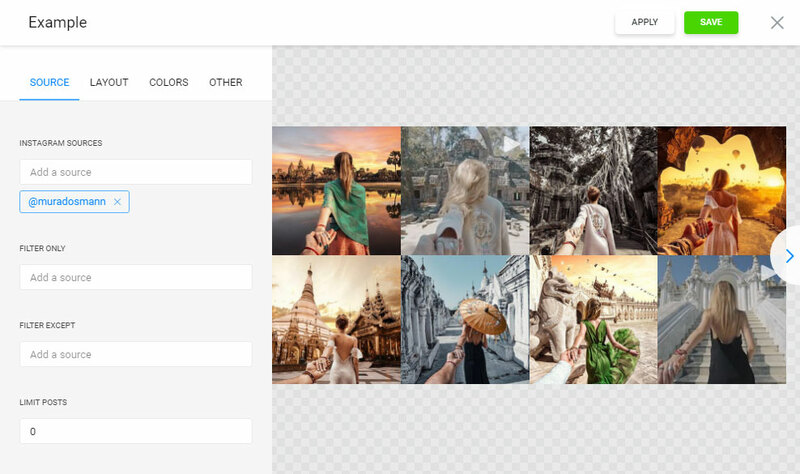 Try out multiple design options and create unique Instagram gallery for your website.